OK, so you can’t put it off any longer. It’s time to get outside and clean the gutters on your home. Otherwise, debris could clog your gutters and cause the runoff water from your roof to spill over the side onto the ground below. Maybe you can let it go for a little…. oh, no. It’s definitely time. Gutter cleaning seems like a simple enough task. But as with other home maintenance chores, it’s not smart to just dive right in without any forethought or preparation and expect to complete it effectively. That’s why it’s necessary to consider what supplies you need and how they can help clean your gutters efficiently. Bags. Outdoor or contractor bags are recommended, since there are likely to be twigs, pine cones, or other sharp objects in your gutters. These items can tear holes in flimsy bags pretty easily. Gloves. 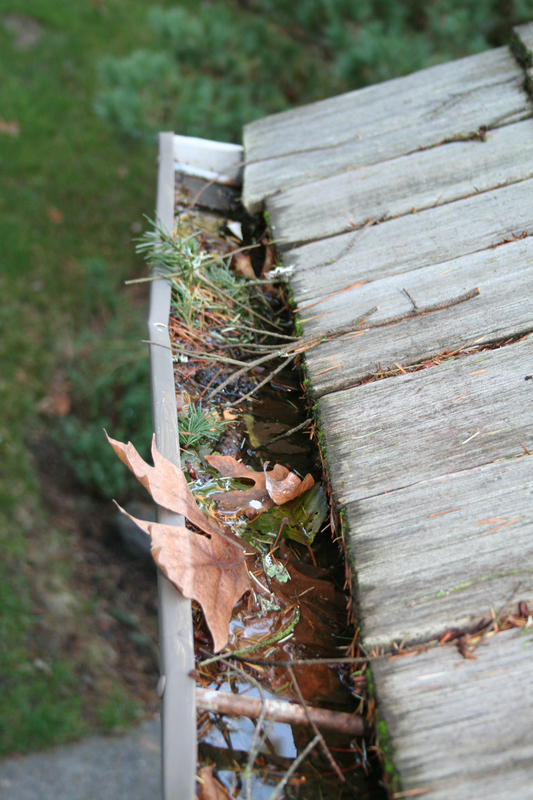 In addition to the debris, your gutters have sharp edges that can scrape or cut bare skin. So wear garden or work gloves that will protect your hands while you work inside your gutters. Shoes with rubber soles. Because you’ll be standing either on a ladder or your roof, you’ll want footwear that securely grips the surface upon which you are standing. Otherwise, you could slip and fall off the roof. Goggles. This precaution is necessary because pollen or other substances in the gutter debris could irritate your eyes. Also, if there’s standing water in your gutters, you’ll probably stir up bugs that could fly around your face. Bug spray. Speaking of bugs, many of them, like mosquitoes or flies, can make your life miserable during gutter cleaning. 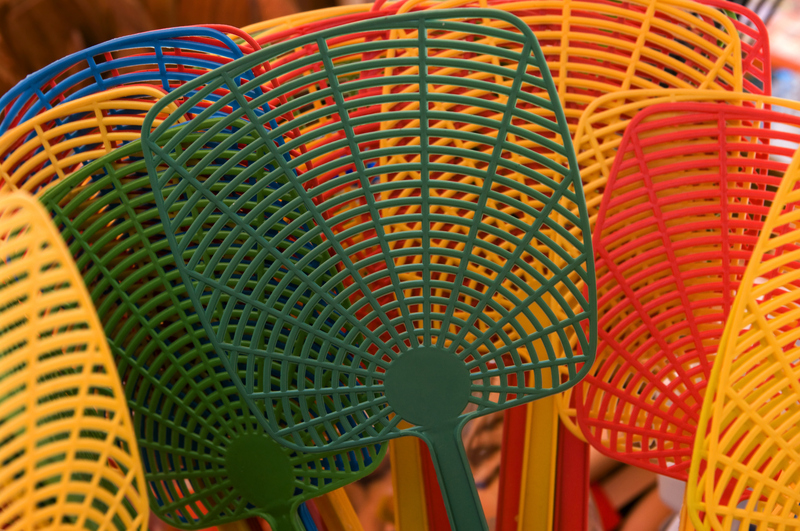 So apply a quick coat of insect repellent before going outdoors. Sunscreen. Even on cloudy days, being exposed to the sun for the few hours it takes to clean your gutters can be enough to develop a painful sunburn, unless you apply sunscreen beforehand. Use a sweatproof product if you have it available. Ladder. Ideally, you need a freestanding ladder because an extension ladder leaning against your gutters could buckle them. And always make sure your ladder is balanced and anchored properly before climbing it. Scooping tool. A plastic hand spade used in gardening tends to work well to scoop dirt and muck out of gutters. You can also take an empty milk jug, cut the bottom off it, and use it as a homemade gutter scooper. Screwdriver. To clean gutters? Actually, it helps to have a screwdriver on hand to tighten any loose screws or fasteners that you see while cleaning your gutters. Sealant. Similarly, if you come across any holes or cracks, applying some sealant will keep your gutters from leaking. But if these openings are too large, you’re better off replacing the entire gutter section. Brush. Pick one with heavy bristles that can dislodge and remove grime and dirt that builds up on the inside of your gutters. After all, some stains call for a little elbow grease. 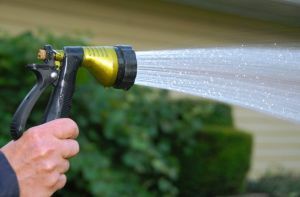 Hose with a sprayer attachment. When you’re finish cleaning, run water through your gutters to make sure it travels to your downspouts properly. Use the sprayer for any pesky stains that you couldn’t brush away. With a little luck, you can even soak your neighbor without him seeing you. Of course, the absolute best way to manage gutter cleaning is to eliminate the need for it altogether. You can accomplish this by investing in the Gutter Helmet gutter protection system. For more information about how you’ll never have to clean your gutters again, call Harry Helmet today at 1-888-5-HELMET or visit the Harry Helmet Web site.